If you feel as though you’re “stuck,” or have for one reason or another stopped moving forward in some aspect of your life, having a Life Coach in your corner may be just what you need to propel you forward. Life Coaching can help you get motivated; stay focused, and stay on track. Start Living a Life that you Love! A coach is an objective, nonjudgmental professional who gives you encouragement, support, advice, and strategy to win or perform at your very best. For athletics, for weight loss, or for personal life effectiveness, a life coach can guide you, teach you, and support you in achieving things in your life that you’ve wanted—or once had & want back. Life coaches can coach you to greater success in your career, your relationships, your self image, your mental and emotional health, and life. I coach you to get better results and to get the things that you want. I coach you to get more from your life, your career, your relationships, and yourself. I'll ask questions, I'll help you clarify your goals, I'll work with you to define your priorities and values, and I'll provide feedback. I may suggest homework assignments to put new tools into practice. I'll help you get and stay organized, and help keep you directed, focused, and IN MOTION. I don’t provide therapy. We won't heal deep emotional wounds or ruminate over past relationships or losses. We won’t get lost in the past or spend excessive amounts of time on issues that aren’t productive at really moving you forward. 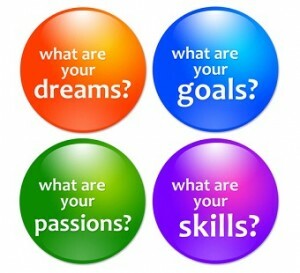 Business, personal, or life coaching is future-focused and interactive. You are the driver of the bus, and you are your own life manager. We stay focused on the present situation, stay focused on the desired outcome, and stay focused on moving forward, toward the end result. I won’t tell you what to do (although I may make suggestions.) I won’t set your goals for you. I won’t tell you how to run your business, how to live your life, or how to lose weight. Instead, I believe that you already hold most of the answers, probably already know what you should do, and may benefit from some simple guidance, direction, and planning. With some guidance, you will choose where you want to focus your energy, what you want to work on, and how you will do it. I may suggest assignments or exercises to help you move through the process, but the choice is ultimately yours, as are the positive results. Your life coach can be your biggest fan, your greatest resource, and a great source of strength, insight, and clarity as you become clear about who you are, what you want, and how you can get it. I coach people just like you—motivated, competent individuals who are smart and resourceful, who may simply be stuck, in need of a little direction, or are contemplating a big life change. Perhaps you need a little direction. A little focus. A little push to do all those things you’ve wanted to, but for some reason or another, haven’t. That’s where life coaching can help. If you’re ready to STOP DOING WHAT DOESN’T WORK, then contact me and let’s get started doing what DOES work. It’s time to take action, and get your life in motion. YOU. And almost anyone who is ready to stop doing what doesn’t work, start doing something that does, and get BETTER RESULTS. Maybe you feel as though life is passing you by, or your focus on work or family has led to a diminished sense of self-worth or efficacy. You may look at others and wonder how they find the time, the energy, or the ambition to do what they do. You may look back at times in your life when you felt happy and fulfilled—and simply miss that feeling. Whatever the case, your coach can point you in a different direction, keep you motivated and encouraged, and provide you with insight, motivation, and techniques by which you can get the most from your life and be the best YOU that you can be, then COACHING may be just what you need. What holds us back from living our best life? For some it’s fear; for others it’s time management. For yet others, it’s an inability to prioritize goals. And for many, it’s just a matter of not knowing where to begin. Your coach can point you in the right direction, help you define your goals, discover what your personal obstacles and barriers are, and give you a different perspective on things. Why waste another day being stuck? If you choose to work with me, I can help you identify what you want, what’s holding you back, and how you can live a life that is more fulfilling and enjoyable. Getting a fresh perspective from an objective point of view who won’t judge you, hold anything against you, or just tell you what you want to hear, can give you the boost you need to get real, get honest, and get moving. No matter what your goals may be, I can help get you over the hurdles that are standing in your way. I will help you get the things you want for yourself (or get back the things you once had) and live a life that is more fulfilling, more honest, and more rewarding. Having the assistance of a professional life coach can help get you moving forward, get you past what has you stuck, and coach you to greater success in almost any area of you life—your relationship, your career, your physical fitness, your weight, and life. If you want better results, then you’ve got to do something better than you are right now. Let me help you figure out what to do next, and motivate you to make a plan, stick to it, and get RESULTS. what is a life in motion? why could i use a coach? Life in Motion Coaching, founded by Jana Beutler, M.Ed., has one mission: To help you live a happier, healthier, and more fulfilling life. When the body is in motion, it has purpose, energy, and momentum. And the more you move, the stronger, more flexible, and more resilient your body becomes! A life in motion is very much the same. A life in motion has direction, momentum, energy, and purpose. It is propelled forward by sheer inertia once it has a destination and gets a good shove in the right direction. A sedentary object, however, can rarely get moving on its own without some kind of external force or thrust of energy to put it into motion. And the heavier it is, the more force it takes. That’s where your Life in Motion Coach comes in—motivating you, empowering you, and encouraging you to get yourself in gear. With Life in Motion coaching, you’ll get a qualified Life Coach who will provide professional life coaching services to help you try new things, make better choices, and get better results from your life. Your coach, (Coach Jana) is a Personal Trainer, Nutrition Consultant, Life Coach and Lifestyle Transformation Coach. She will help you move forward with your goals in a more effective and efficient manner. You may need a life coach to assist you in weight loss, or to help you in making a tough decision. A Personal Life Coach, Business Coach or Weight Loss Coach can help you move your career forward, or coach you to get yourself and your life more organized. A coach can even work with you to stop making excuses, and get on with it! Convenient telecoaching sessions with your personal Life Coach can help get you moving forward, and keep you moving toward your life goals so that you can live a life that is in Motion. · You’ve tried doing it on your own, and it hasn’t worked. · You’ve tried doing it on your own - AND IT HASN’T WORKED!